The cloudLibrary by bibliothecha application is an innovative way to browse, borrow and read popular fiction and non-fiction eBooks from your local public library. You will need a valid library card to use the application. If you do not have access to a library card, please inquire at your local HLC member library as to how to get one. Your library credentials will give you access to the thousands of titles available to you as a member of your local library. The cloudLibrary application is part of a full suite of services purposed for you to enjoy books from your public library. 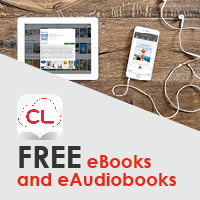 For help downloading a cloudLibrary eBook or Audiobook go to the eBook Help tab above. What can becoming an HLC Member mean for your patrons? Click here to see all the benefits of becoming an HLC Member. HLC is on the cutting edge of development in two ways. HLC was the first network in the United States to include diverse libraries in a shared environment, and the HLC patron card is reported to be the first accepted as a universal library card. The Consortium provides library automation products and services, training and continuing education, exploration of innovative technologies and products, and library business intelligence for informed decision-making.